THPRD's preventive care partnerships provide recreation opportunities at facilities throughout Beaverton, including the Elsie Stuhr Center. With baby boomers reaching retirement age, health insurers are taking proactive steps to keep this rapidly-growing population healthy, active and out of the hospital. 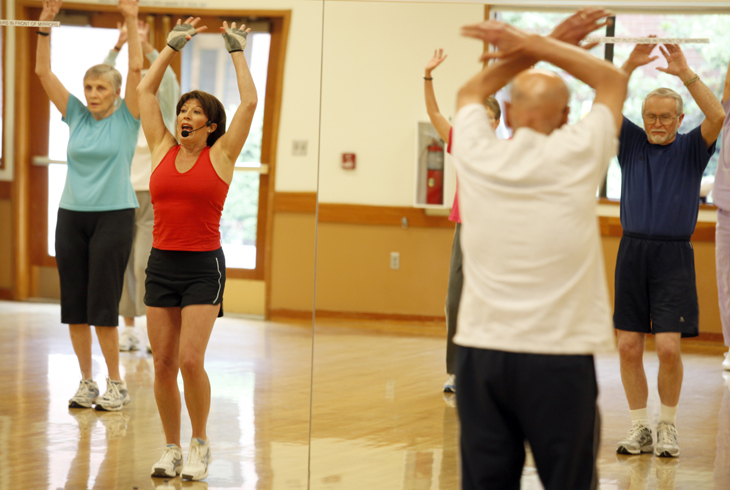 THPRD is proud to partner with three preventive care programs – SilverSneakers, Silver&Fit and RenewActive – to provide their members access to recreational facilities throughout the Beaverton, Ore., area. One in five people 65 and older is eligible for SilverSneakers, a fitness benefit included in selected Medicare health plans. Through SilverSneakers, health plans and group retirement plans provide a gym membership, usually at no additional cost, that is valid at more than 13,000 participating locations nationwide. THPRD is proud to support SilverSneakers benefits at our aquatics and recreation facilities. Work out with cardio and weight equipment, swim or take group exercise classes taught by instructors trained specifically in senior fitness. For more information, contact your insurance company or call Silver Sneakers at 888-423-4632. The Silver&Fit Exercise and Healthy Aging Program is offered by health plans to eligible Medicare Advantage/Supplement beneficiaries and group retirees. Silver&Fit members may participate in drop-in activities without an instructor at any THPRD facility, including open swim, lap swim, and cardio/weight rooms. For more information, contact your insurance company or call Silver&Fit at 877-427-4788. The RenewActive program is offered to United Healthcare members at no additional cost to you as part of your plan. Through the RenewActive program, members may participate in drop-in activities without an instructor at any THPRD facility, including open swim, lap swim, and cardio/weight rooms. For more information, contact your insurance company or check your eligibility here.